No doubt you’ve heard a lot about the value of alpha-hydroxy for your skin. A natural alpha-hydroxy, that is. Well, here is a luscious little goodie you can whip up yourself and it’s so cheap it’s almost obscene. What Do Alpha-Hydroxy Acids Do For My Skin? If you think that’s impressive, here’s how to make a DIY alpha-hydroxy treatment for pennies. And, it has no chemicals at all which is definitely a powerful benefit. 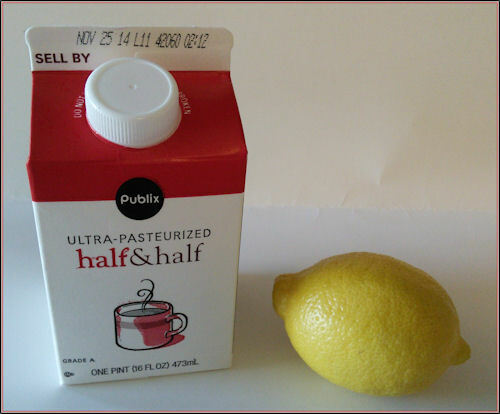 Step #1: Our beauty concoction begins with a trip to the grocery to get some half and half and a simple lemon. Step #2: Pour enough half and half to cover your face in a bowl. NOTE: I used more than I needed just so it would be easier to see. Ordinarily, I just use a couple of Tablespoons of half and half. 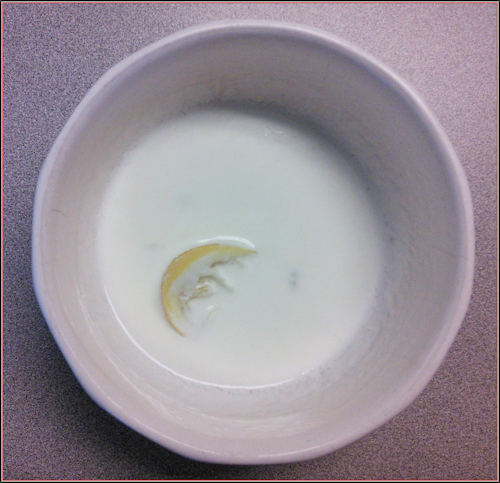 Step #3: Next, cut 1/4 of a lemon and squeeze the juice into your milky liquid. 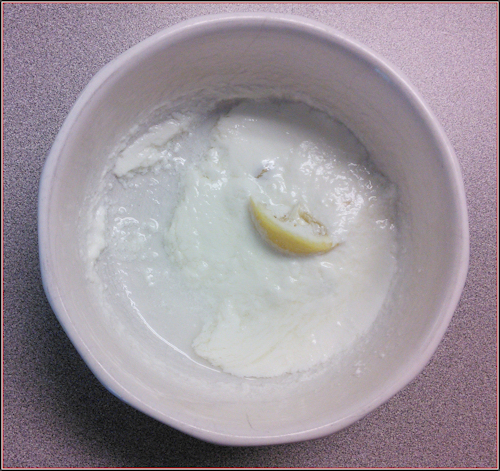 Add a slice of lemon to the bowl. Step #4: Leave the bowl sitting out on the counter for about four hours. Don’t put it in the refrigerator because that will stop the reaction that makes the liquid so ‘hydroxy-ish’. 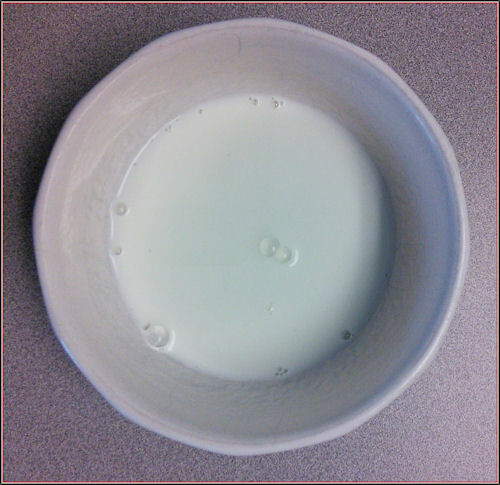 Notice how the liquid has gotten thicker and pulled away from the edges of the bowl. That’s exactly what we want. Step #5: Put your very cool alpha-hydroxy treatment on your face for about 20 minutes and then rinse it off with lukewarm water. CAUTION: It’s important to know that alpha-hydroxy preparations make your skin more sun-sensitive so don’t go out for a serious tanning session! I also promised that this was cheap … and it is. The lemon was $.29 and the half and half was $1.26 (not including tax). We can get four treatments out of the lemon for a cost of about $.08. And the half and half will go bad before we could possibly use it up making these beauty potions so its cost is minimal.